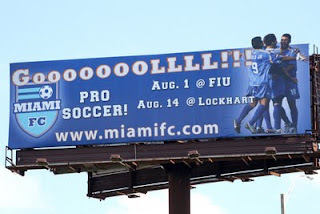 Striker Likers: Isn't It Billboard Time? The regular season is almost at hand, so where's the promotions? We need billboards, bus shelters, bus wraps and we need them now! The city needs to be blanketed in red and yellow. The Strikers are back!! !